The definition of gingival is “gums.” When we think of dentistry we think of teeth. We like and need for our teeth to be straight, white, and cavity free. However, dentistry isn’t just about the health of your teeth, it is also about the health of your gums–your gingival tissue. It is important to protect your gum health, because your gums and periodontal ligaments are what hold your teeth in your jaw bone. If your gums become diseased, they soften and atrophy like an unused muscle. Your jaw bone can become atrophied, too, resulting in tooth loss. 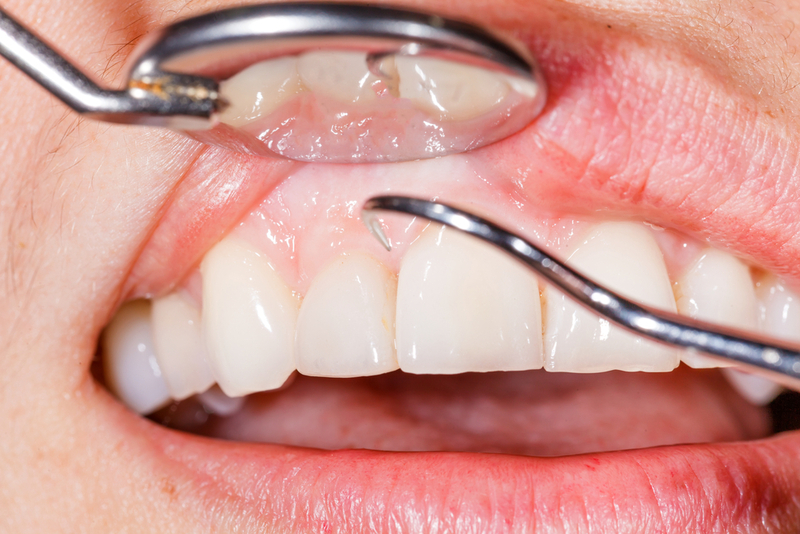 Today we discuss how to protect your gingival health. While most people probably think that tooth decay is the major reason for tooth loss they would be wrong. It’s true that tooth decay has hit chronic proportions especially in young children, but with fillings and root canals those teeth can be saved. The truth is that gum disease is the leading cause of tooth loss. If you are aware of how destructive gum disease is you will not be surprised at this fact. Gum disease is caused by not brushing your teeth. When you stop brushing your teeth, bacterial plaque builds up and hardens into tartar. Without a professional cleaning tartar cannot be removed. It builds up around your gum line irritating and infecting the soft tissue, leading to tender bleeding gums. If the infection isn’t eliminated, your gums pull away from your teeth leaving pockets of pus from which bacteria can travel to the periodontal ligaments and eventually your jaw bone. When your gum tissue is compromised and your jaw bone no longer can support your teeth, they simply fall out. It is easy to protect your gingival health: brush twice a day with fluoridated toothpaste, floss daily, and attend your dental exams and professional cleanings twice a year. It’s that simple. With over 25 years of professional experience, Dr. Steven M. Huffstutler and his caring team proudly provide exceptional preventive, cosmetic, and restorative dental treatment to patients and their families across Dallas/Ft. Worth, TX, including North Richland Hills, Denton, the Mid-cities, Southlake, and all surrounding communities. We also have extensive experience helping patients find relief from painful TMJ disorders (various forms of jaw dysfunction). To schedule an appointment with Dr. Huffstutler, contact our office today by calling 817-577-1444.